After a long absence, I've resumed my mission to provide a detailed review of any game I've played that doesn't have enough review coverage on GameFAQs.com. 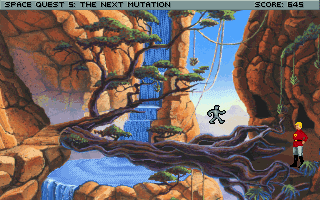 This time I'm continuing with my coverage of the Space Quest series of humorous sci-fi adventure games; in case you missed them, you can read my introduction to Space Quest, and you can read all my GameFAQs reviews, including the ones of the various Space Quest games. 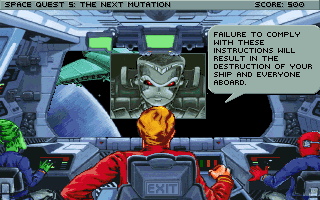 Anywidget, without further ado, I present to you my review of Space Quest V: The Next Mutation. Go read it!